Water sustains your life, but that doesn't mean you need to let it rain on your parade! The Working Person's Store offers you the waterproofing products you need to protect your expensive outdoor gear from water damage. Granger's re-proofing products use the same technology as garment manufacturers, which allows you to restore your important garments, footwear, and equipment to their original quality. Granger's refers to this as 'Original Performance Restored'. 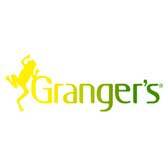 Granger's cleaners and waterproofing products are water-based and environmentally friendly. The high concentration means that you have to use less for a long-lasting effect, reducing the cost for you and the manufacturing waste for the environment. Most importantly, Granger's products keep your favorite outdoor products like new: clean and resistant to water. Stop letting water walk all over you. Instead, walk all over water in your newly waterproofed boots thanks to Granger's products from The Working Person's Store.